Moving relocating to Morristown Morris Twp or Convent Station NJ. 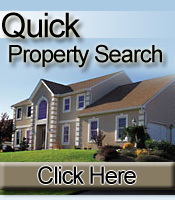 Search MLS listings homes for sale properties and real estate in. 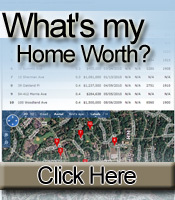 Top schools, reports, demographics, links to parks, recreation and real estate MLS search. Morristown is a really fantastic place to live if you appreciate being part of a vivacious, vibrant, diverse and HOT town where there is always something fun going on. One of our favorite things to do was to walk along Millionaire's Row - where stunning period homes were built over the turn of the century (Miller Avenue, Perry Street, McCullough, Maple and others that surround the center of town) - and go for a walk into town or meet friends and family at our favorite dining establishments or for a show at the movie theatre (Click Here to see what's playing at the TenPlex)or a concert at the Morristown Community Theatre. Some of our favorite restaurants include Sushi Lounge on Schyler, OriginThai II or the South Street Creamery, on South Street. Or PazzoPazzo on Speedwell, Sebastian's for fine steaks on Elm and our two favorite local bars - The Dublin Pub (a great place to drop in during a snow storm or for lunch on the patio in Summer) and Tashmoo on Dehart . The list can go on and on and on but you get the idea! This town has a love of arts, crafts and history. Every October the Armory hosts the Morristown Craft Market which includes super quality art and crafts from all over. There is a Spring Art Show outside - usually in May. 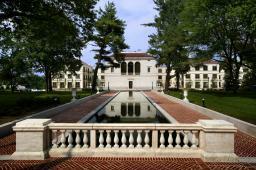 The McCullough Museum offers insights to our rich colonial history and roots. On New Year's Eve there are fireworks and an extensive First Night Celebration. The Morris County Calendar of Events has a compelling list of happenings in Morristown and Morris County. The choice of housing is vast and diverse. From downtown condos of all prices, including Vail Commons priced from the low $300's; Convent Mews and Park Plaza also starting in the $300's; The sophisticated Twombly starts in the $400's; 2 story townhouses at Morris Place start in the hi $300's; luxurious Vail Mansion starts in the $600's and 40 Park Place starts in the $500's. Of course there are numerous options for multi-family and single family houses, with Millionaire's Row and Washington Headquarters areas featuring the top end of the spectrum. Live Where You Work is a great new New Jersey State program that helps people who work in Morristown buy a home in Morristown. It offers a low-interest 30 or 40 -year fixed-rate first mortgage from the New Jersey Housing and Mortgage Finance Agency together with Live Where You Work downpayment assistance and/or closing costs in an amount equal to 5% of the first mortgage loan. Ask us about this program. For the official Morristown town website, Click Here. To access demographic and school data and details for Morristown and Morris Township - including Convent Station, NJ, Click Here. For a more personal look at what it's like to live in Bernardsville, New Vernon, Basking Ridge or any of the best towns and communities in Morris and Somerset Counties, our Team of experienced, professional, local Realtors is available to talk with you about the community, homes for sale and real estate, without cost or obligation. Contact us via cell or text at 201-960-2090 or email info@WhereToLiveInNJ.com or complete the form below for a prompt response. Thank you for visiting our website. We hope you found the information you were looking for. Please feel welcome to share with family, friends and co-workers.